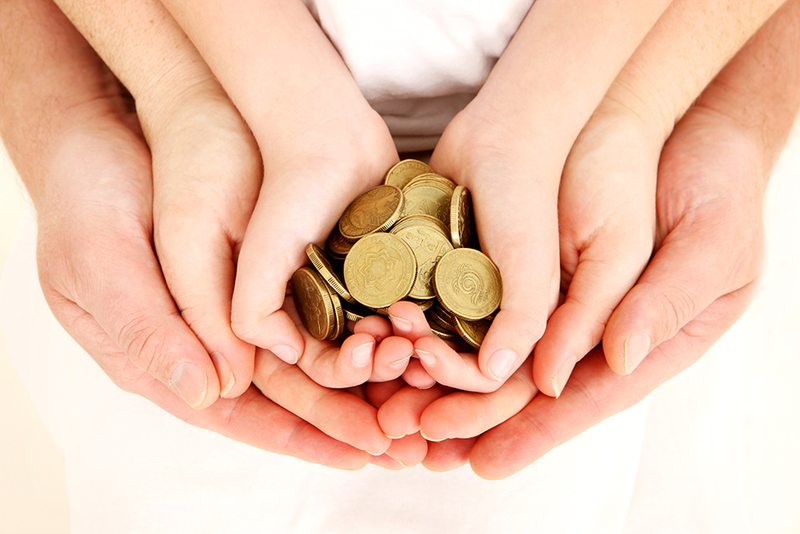 For a number of wealthy families Conçerva provide a “family office” service. A family office coordinates all the professional services that a family may need. These services typically include banking, legal, investment and accounting – all coordinated in one place for the family. In essence, Conçerva are put at the centre of a family’s financial arrangements and provide a complete and multi-generational service. There is no real difference between the services Conçerva can provide and those of a private bank. In fact the only difference is that a financial planner can offer a better service at a lower cost! Proper financial planning is key to creating a multi-generational family office which reduces costs and minimises risks. We apply the same disciplines to a family as you would do to a private company. This would involve producing a business plan, balance sheet and cash flow statement. We have been closely supported by Mark and have built up an excellent relationship with him over the years. We know that he is aware of all our financial circumstances and needs, and he gives us exactly the kind of advice appropriate to our medium and long term requirements. It is a real pleasure to deal with Conçerva, particularly Mark and it has also proven to be very successful and rewarding for our diverse portfolios. The team at Conçerva have provided me and my family with a well thought through financial map to provide us with long term security. Conçerva provided me with the tools and advice to achieve my personal goals. I have confidence and trust in all aspects of the advice given by Conçerva. Excellent, client focused approach with friendly, helpful staff who, along with delivering excellent results on investments, offer in house training in key areas. Always a pleasure to deal with. Over many years I have always received a friendly, professional and efficient no-nonsense approach with realistic and transparent fees. They provide excellent service and I have no hesitation in recommending Conçerva to my friends and colleagues. In 2006 I suffered a life changing spinal injury due to a serious RTA, and as a result of that my life in every way would be forever changed. As a result of that I was introduced to Concerva and Mark Tomlinson through my Solicitor, and my relationship with Concerva has gone from strength to strength. You can be as involved as much or as little as you wish in the day to day investment and details of your portfolio, and for me to have that responsibility dealt with by Mark was a huge help at a time when I did not have the capacity for it. I have had returns within their estimates year on year, and I have been extremely happy with the service that I have received. I personally would not hesitate to recommend Mark and Concerva to anybody looking towards a managed investment portfolio, and I do not just consider Mark my financial advisor but I would not hesitate to call him a trusted friend that I have a very good relationship with. "In our dealings with Concerva, we have always found them to be personable, knowledgeable and helpful, so we are delighted to recommend them - particularly if, like us, you welcome their ability to explain complex issues in layman’s terms." It is important to me to have someone I can trust to look after my retirement whilst I get on with my job... All in all Conçerva provides me with an excellent service. After agreeing our objectives, our advisor keeps in regular contact giving us relevant information/advice without trying to baffle us with jargon. Overall we are very happy with the service Ian and Conçerva provides. We have always found both Chris and Conçerva most reliable, efficient, and pleasant to deal with. They have always been readily available whenever we have needed their advice; and have given us the confidence and the trust needed to make the necessary decisions in handling our financial affairs. I was introduced to Conçerva by a retired accountant friend who had studied various Independant Financial Advisor services and recommended to me that I trust Conçerva to manage my investments. His advice has proved to be well founded as my investments have made considerable gains and my relationship with Conçerva has become stronger each year. Conçerva are a very friendly organisation and I enjoy a number of professional and social meetings with the staff and particularly with Ian Bromley who is my day to day contact. “ I have had professional and personal dealings with Concerva for the last 10 years and have recommended many Clients with very substantial funds from compensation awards for catastrophic injuries. During this period Mark and his colleagues have provided an excellent service with competence, efficiency, openness and a very client friendly approach in what is a very sensitive and wide ranging area of financial services. Importantly, they also possess a good sense of humour." Nigel has been giving us financial advice for nearly 20 years and in this time, he has always been professional yet approachable. We have been very grateful for his help over the years. I have no hesitation introducing clients to Conçerva as I know that they will receive the best impartial advice specifically tailored to their individual needs delivered in a professional manner. Their Knowledge and quality of service is second to none and their willingness to go the extra mile is both comforting and reassuring and is why I use their services for my own affairs. Words to describe Conçerva? Effective, efficient, reliable, responsive, responsible, friendly, knowledgable, professional and trustworthy. Need I say more? Our accountancy practice has been associated with Ian Bromley and Conçerva for the best part of ten years. During that time the highest level of professionalism and advice has been received. Having referred Conçerva to our clients on a number of occasions the feedback has consistently been extremely positive with clients commenting on the integrity, knowledge and the helpful manner in which the advice has been given. Trustworthy, professional, informed, not pushy, always helpful, friendly and with a fair fee structure. Need I say more? I have already personally recommended Conçerva and Ian Bromley in particular to friends and family and would do so to others without hesitation! Concerva Ltd is authorised and regulated by the Financial Conduct Authority. Financial Services Register No: 196679 http://www.fca.org.uk/register. Concerva Ltd Registered Address: Barnfield House The Approach Blackfriars Rd Manchester M3 7BX. Registered in England & Wales, No. 4175417. Neither Concerva Ltd nor its representatives can be held responsible for the accuracy of the contents/information contained within the linked site(s) accessible from this page. The Financial Conduct Authority does not regulate National Savings or some forms of mortgage, tax planning, taxation and trust advice, offshore investments or school fees planning. The information contained within this site is subject to the UK regulatory regime and is therefore targeted primarily at consumers based in the UK.